Difference between revisions of "Moss"
It can be made into mossy cobblestone by placing cobblestone in the middle and placing moss all over it. This is currently it's only use, and mossy cobblestone is a decorative block. 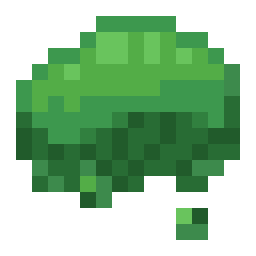 Moss is an object in Mine Blocks that can be found on cobblestone when it rains. It can be mined with shears.